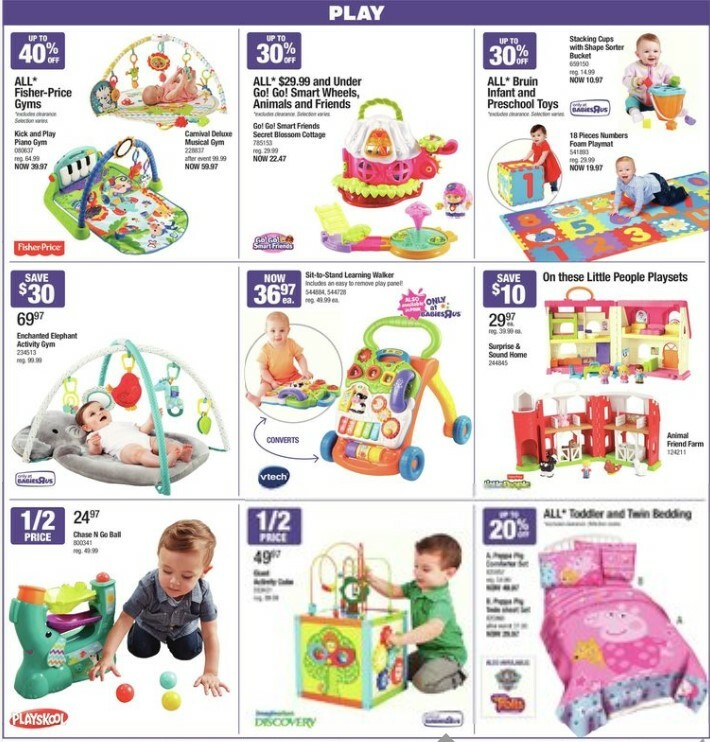 Babies R Us Flyer Weekly March 31 – April 6 - Easter Deals! 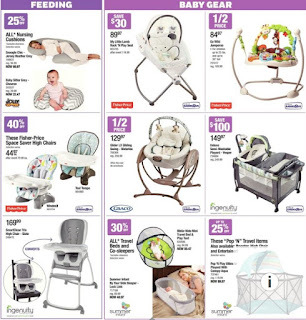 | Weekly Flyers Canada Babies R Us Flyer Weekly March 31 – April 6 - Easter Deals! 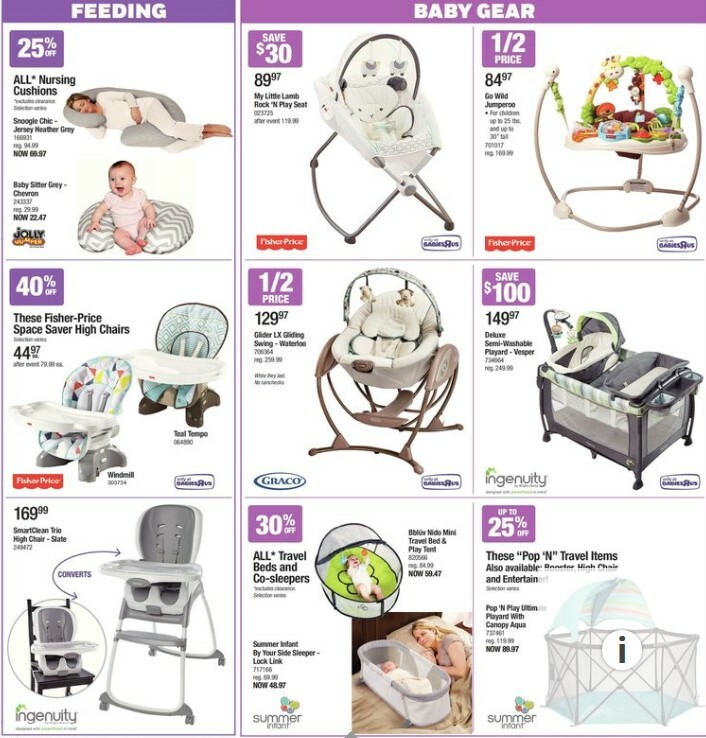 Home » Babies R us » Babies R Us Flyer Weekly March 31 – April 6 - Easter Deals! 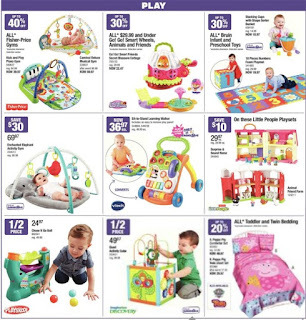 Babies R Us Flyer Weekly March 31 – April 6 - Easter Deals! Babies R us Easter Deals starts friday, March 31 tc Thursday, April 6, 2017 - Price match we wotn't be beaten on price BabiesRuS , Receive $50 savings card when you spend $150 or more (before taxes) on baby products from March 31- April 9, 2017. 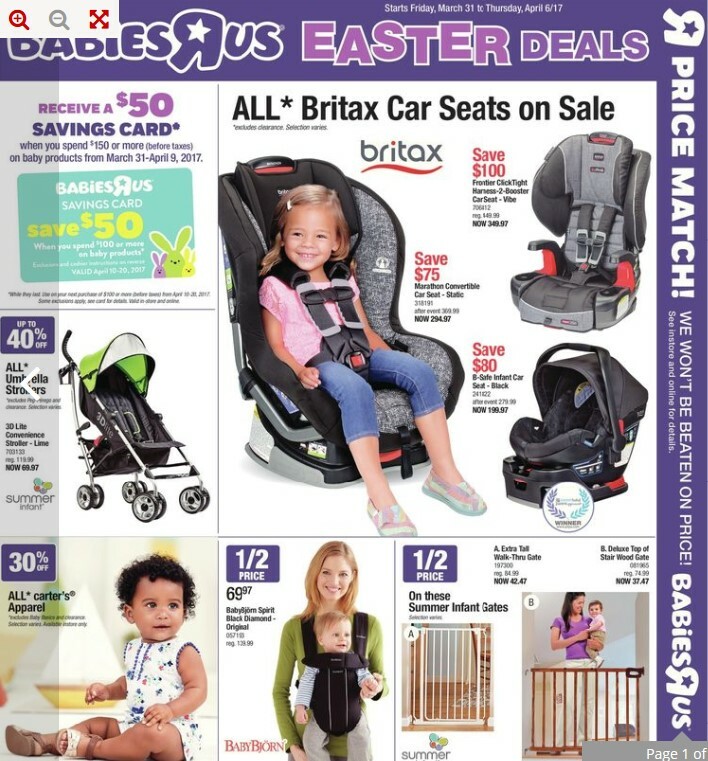 Frontier Click tight harsess 2 booster car seat vibe save $100, Marathon convertible car seat static save $75, B-Safe infant Car seat Black save $80. 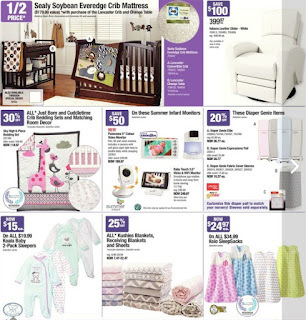 Baby Gear Products My little lamb Rock’N Play seat price $89.97 Save $30, Go Wild jumperoe now $84.97 (1/2 price), Glider LX Gliding saving Waterloo price 129.97 (1/2 price), Dekore semi washable playard vesper price $149.97 save $100, All* Travel Beds and Co-sleepers Nido Mini travel bed and play tent now $59.47, These “Pop ‘N” travel items also available : booster, high chair and entertainer Pop ‘N Play ultimate Playard with canopy Aqua Now price 89.97. » Thanks for reading Babies R Us Flyer Weekly March 31 – April 6 - Easter Deals!